A trip abroad reminds a visitor of international lessons of the past and helps fairly assess the present. My recent excursion to Germany and Belgium made me appreciate how the plight of other nations has engaged the United States in the preservation of freedom. Europe’s history affirms that the United States is more essential than ever to a troubled world. It also reminds us that democracy is best perpetuated by American leaders who aren’t afraid to speak out for freedom. East Berlin without the Berlin Wall that stood from 1961-1989 is now a democratic city on the move. Traces of the wall are barely visible as Germany strives to forget the dark period from 1933- 1945 when Adolph Hitler’s perverse ideology stained the world with death, infecting all of Europe and entangling the United States in the age-old struggle for liberty over tyranny. The rise and fall of Hitler as Reich chancellor is a story worth recalling. It’s memorialized in a stunning exhibit in East Berlin on the very site of the Third Reich’s former headquarters, now with only an original brick foundation as a frame of reference. The exhibit carries the name “Topography of Terror.” The site was the central location from which the Nazis planned and managed most of their crimes. Partially destroyed during World War II, it was rendered unrecognizable after the war by demolition and conversion, forgotten, but then rediscovered, and was gradually reestablished in the historical memory of Berlin. Dubbed the “site of the perpetrators,” it now chronicles the systematic destruction of the Weimar democracy through Hitler’s enactment of “emergency laws.” Separation of powers, basic rights, pluralism, and federalism were all abolished as Hitler implemented his own version of a “proud Germany.” As torture, maltreatment of political opponents and limits on citizen freedom took hold, Nazi violence and paralyzing fear were established. Thousands of proud Germans were branded enemies of the Nazi dictatorship for merely disagreeing with Nazi actions. A nearby Berlin cemetery is a sober monument to people of the Jewish faith that testifies to the religious and racial intolerance of the times. The Nazi dictatorship was possible because broad segments of German society rejected the Weimar Republic. The 1919 Treaty of Versailles ended World War I and destroyed Germany’s political stability. Civil outbreaks among Communists, Nazis and others facilitated Hitler’s power grab. In the name of nationalism, Hitler’s charismatic appeal to the masses in the 1930s allowed him to secretly stockpile armaments under the guise of industrial development. He later launched a vicious assault of retribution against the world while controlling German society through his powerful secret police. Hitler’s appearance before massive and adoring crowds testified to his influence over a public immune from any sense of conscience against the oppressive tactics and brutal influence of the Prussian Secret State Police Office (“Gestapa”) as it consistently abridged the rights of Germans. The Nazis suspended the rule of law and maintained absolute control of the press, broadcasting, art and scholarship. Belgium is about as near to Berlin as Coeur d’Alene is to Seattle. Yet this ancient, but important country of only 11 million people is geographically smaller than Washington’s 5th Congressional District. Brussels, Belgium hosts the European Union headquarters and houses the North Atlantic Treaty Organization (NATO); the United States has a voice in the activities of both. Last month, Brussels was the center of world economic activity as Portugal suffered more economic insecurity, and NATO figured prominently in the free world’s response to Libyan unrest. Belgium is regularly in the middle of decisions that affect millions in the Middle East and Europe. What the world is seeing today in Portugal, Spain, Bahrain, Yemen, Libya, Egypt, Syria and other countries in the region is economic and citizen unrest with the potential to disrupt economies and societies not unlike that which touched the globe after World War I. Then, as now, free societies were obligated to encourage nations under stress to strive for policies of freedom and economic independence in order to avoid wider war and oppressive dictatorships. A recent Gallup poll concluded that the world looks to America for leadership much more than it expects leadership from China, Russia, Great Britain or Germany. U.S. leadership is essential to the outcome of global economic and social growth in foreign lands, be it through NATO or Belgian economic councils. American presidents since George Washington have stressed the importance of human liberty and economic security. Oppressed people expect the United States to speak out against oppression. Silence in the face of Libyan, Iranian and Syrian oppression of those seeking human rights is uncharacteristic of America’s policy of standing up for disadvantaged peoples around the world. Where freedom is concerned, presidential ambiguity and political calculation are unacceptable substitutes for American advocacy. Today’s global economic and social realities require the United States to boldly support sustainable freedoms — for all people everywhere. Warring nations today with leadership vacuums may be attracted to the type of hero worship that Germany experienced only 78 years ago. There’s no guaranteeing a Hitler of the 21st Century cannot emerge. Freedoms sacrificed for extremism in democratic societies leads only to oppression — and it’s un-American to remain silent. 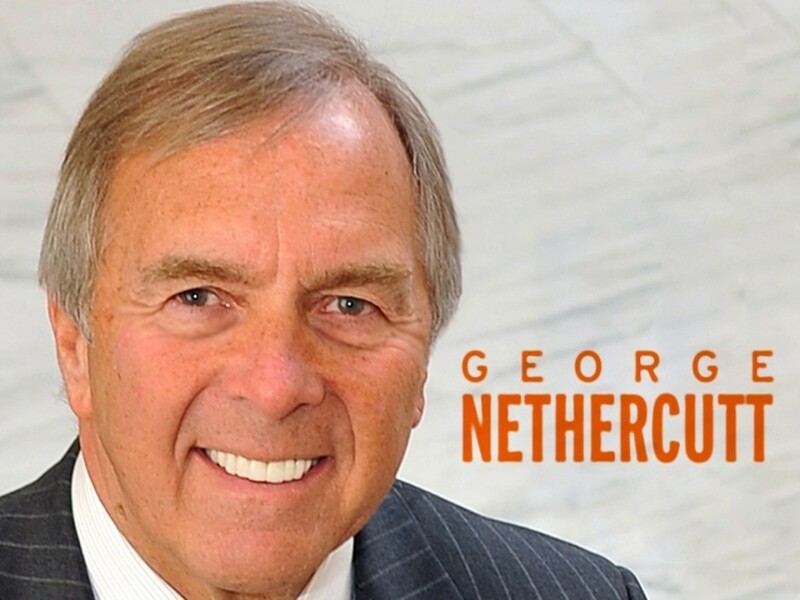 George Nethercutt is the former congressman for Spokane and the 5th District of Washington.